It always comes as a shock when I’m reading a book about a twentysomething careening towards her thirties and the author makes a cultural reference to the character’s childhood — in this case, the Babysitter’s Club — and I realize that I’m essentially the same age as the character. I’m not just growing up — I am a grown-up. Full-fledged adulthood, with all its bill-paying, career-building, and marriage-considering, responsible glory. And yet every time I have that realization, I am struck by the same two questions: how the hell did that happen, and why doesn’t it feel the way I thought it would? That’s one of the underlying themes of this book: perceptions of ourselves versus how others perceive us versus how we perceive them. The plot centers on the adult Coffey children who, in their twenties and at various stages of their respective quarterlife crises, return to live with their parents. Martha went to nursing school, though she should have known all along that she was really too anxious to be an ER nurse. She got a job at J. Crew instead, insisting that it would just be a transition, only to find that she’s still there six years later. Claire was engaged to a statistician named Doug, though she should have known all along that they were a bad fit. When the relationship ends, she finds herself alone in a Manhattan apartment she can’t afford and skyrocketing credit card debt. With no savings left and few options on the table, she quits her job and moves back home with her parents in the Philly suburbs. Max is a college senior with an obscenely beautiful girlfriend, Cleo, whom he secretly shares a campus apartment with in a move that makes the two twenty-one year-olds feel more grown-up than they really are. The title is a play on the idea that among our siblings, we each have a role to play — the smart one, the pretty one, the funny one — and we are often limited by the expectations of those roles despite the fact that they may not be entirely accurate. Martha’s often been considered the smart one — she excelled at science, did well in nursing school — but Claire cherishes her Scrabble record so much that she’s quietly incensed when Cleo outshines her during a family vacation. Weezy herself was always labelled the smart one; everyone expected that her sister Maureen’s success in life would come from marrying well, so it was a shock that Weezy was the one with the successful marriage and boring career while Maureen struggled as a single mother. Close does a great job presenting empathetic, dimensional characters. I liked each of them even when they were behaving in unlikable ways because they felt very real (except for the men — Close doesn’t seem able to or interested in fleshing out her male characters, I’m not sure which, and so baby brother Max and father Will stay relatively flat on the page, as do the myriad husbands and boyfriends and fiancees that float through these pages). 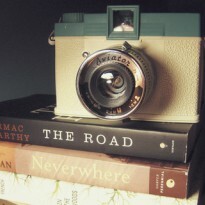 The rotating point of view reinforces the harm we do to ourselves by constantly comparing our situation to others’. There’s a lot comparing going on among these characters, such as when Martha tells her therapist that "Claire wanted a job and so she got one" or when Claire is miffed at Cleo’s vocab during a family Scrabble game (“Of course she read the dictionary for fun. If life was going to be unfair, it was going to go all the way.”). It didn’t come across to me as whining, though. It felt very real, because it truly is much easier to see the positives in someone else’s life and it much easier to make excuses for the negatives in one's own. I could relate, as that's something I've often found myself struggling with. This is a very of-the-moment novel and you're probably only going to enjoy it if you can find something to relate to in the story. It’s a fact that many Millenials (and many who just get in under the wire as Gen-Xers) face more economic hurdles than older generations did when it comes to making it on their own. The job market is terrible, student loan debt is climbing, and no one seems able to offer any real solutions. This is also a very natural follow-up to Close’s debut, Girls in White Dresses, which examined similar issues from a less-family-centric view. Dresses was about what it’s like when it seems like all your friends are embarking on dream careers and marrying their Prince Charmings while you’re still getting paid to fetch muffins for people and bringing men home from the bar. 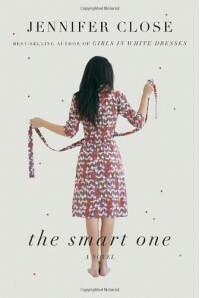 The Smart One looks at how those dynamics mingle with our familial ones while rising above the usual conventions of chick lit. It’s smart, honest, and compulsively readable.